There are always plenty of free kids activities and cultural performances. The Spot Festival has grown to become a favourite in the Eastern Suburbs event circuit, and is by far Randwick’s biggest free outdoor festival.This vibrant community street party is not to be missed! You can check out the highlights of the 2019 Spot Festival in the video below. The Spot has established itself as a unique culinary destination, attracting food lovers from across Sydney. 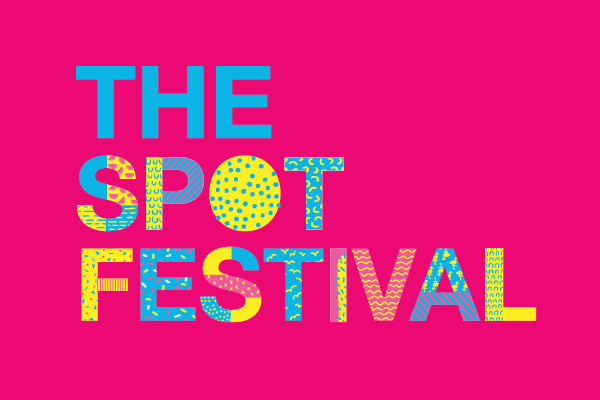 The Spot Festival is a true reflection of the cultural diversity in Randwick City, offering an amazing array of fabulous international food and flavour. Whatever tickles your tastebuds, you'll find it here as The Spot comes alive with food from all around the world. Satisfy your cravings and appetite for international cuisine with delicious dishes and sweets from over 15 countries on offer, including French, Greek , Indian, Chinese, German, Malaysian, Taiwanese and Filipino food. Treat yourself and whet your appetite with some spicy spanish paella, tantalizing Turkish dishes, mouth watering Mexican and authentic Greek food. For something a little sweeter, try an ice cream Mini Melts or Mr Creamy or the scrumptious Dutch pancakes drizzled with chocolate sauce and dusted with icing sugar. It's not just the food that will tempt you - The Spot Festival will have you wandering and weaving through colourful market stalls in search for the perfect momento to take home. You will find a great range of stalls brimming with exquisite handmade jewellery, artworks, beautiful clothing, children's clothing and toys, antiques, homewares and unique gifts. You won't leave The Spot Festival hungry or empty-handed! Street parking is very limited around the festival area. The closest car park is located at 49-55 St Pauls Street, The Spot (parking fees apply). There will be a number of road closures and event clearways in place. We highly recommend using public transport, or better yet, riding your bike to The Spot Festival. Enjoy hassle-free bike and pram valet parking all day at The Spot. Let us look after your bike and pram while you enjoy the Festival. Bike and Pram valet will be located on the corner of Perouse Road and Aeolia Street.